For four generations, our family Champagne house has adapted traditional methods to guarantee the quality of the Champagne, made and aged in the winery. Our vineyard is spread over the communes of Trépail and Avenay Val-d’Or. 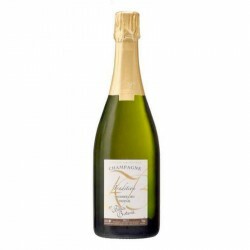 With Premier Cru classification, it is essentially made of Chardonnay. Our several plots of Pinot Noir bring their complete expression to our Champagnes.